I got my tonsils out a few days ago… And well, let’s just say it doesn’t tickle… And recovery time is slow and a bit arduous. As for food, well the days of ice cream and jelly are apparently over, with the doctors encouraging you to eat normally, which for the most part I have been. That said, soft food is still a winner. But, as someone who is not a massive fan of ice cream (don’t look so shocked) I decided to try natural yoghurt. Problem is it can be a bit tart. 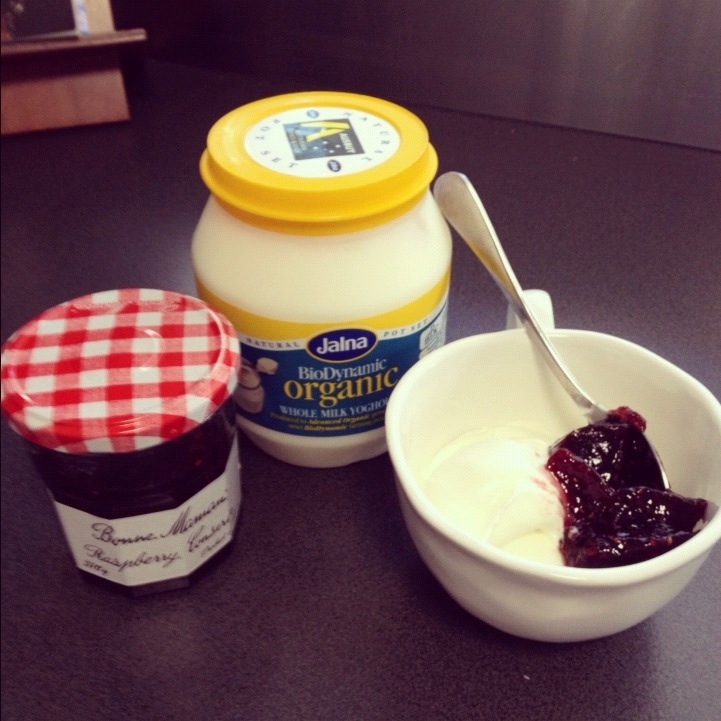 So to make it interesting I decided to mix in some Bonne Maman jam to sweeten it. 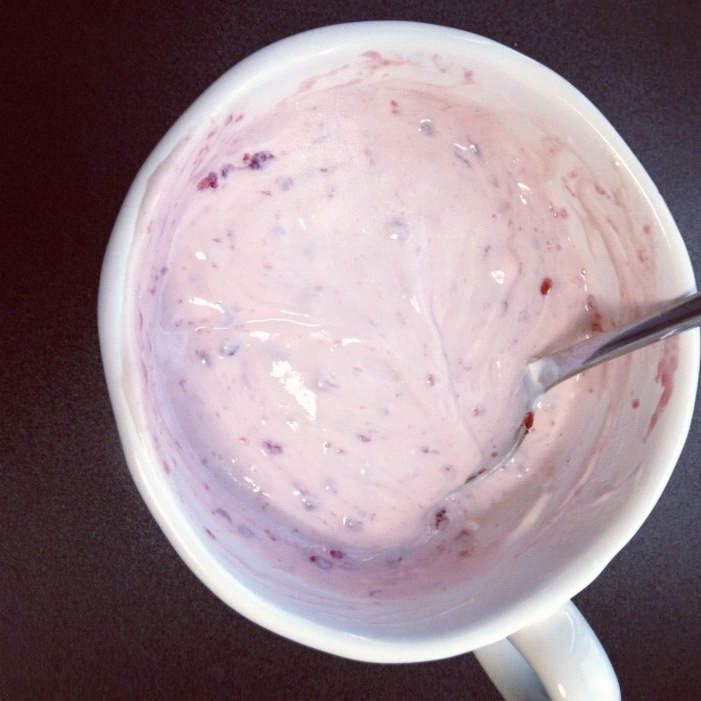 The result… a delicious yoghurt too good not to share with you all. I used the Raspberry flavour, but I imagine any of the other flavours are just as good. Give it a try. You’ll love it! This entry was posted in Fun, House Of Turtle, Instagram and tagged Cooking, DIY, Food, House of Turtle, Instagram, Yoghurt by houseofturtle. Bookmark the permalink.